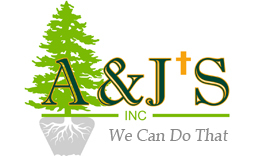 Evergreen Nursery, Tree Installation in Erie, PA | A & J's Inc.
A & J's Inc.'s evergreen nursery in Erie, Pennsylvania, has a vast collection of stunning trees, both small and large. Shipped from across the US, from Colorado to New York, we offer three different quality grades to ensure your selection is healthy and sustainable. No matter your budget or project, we have something for you here. We use the North American Nursery Standard as a guide. Some tops might be weak or leaders too long, but in these cases, we will make the decision that is in your best interest. We take pride in our trees and want you to be satisfied with our products. These trees are the norm in the market. They hold a good shape, a straight trunk, and are at least 80% perfect. If you are looking for trees to be used as a privacy screen, windrow, wooded area, natural habitat, or any other landscape, these are it. They may be less-than-perfect, but will provide you with what you need for an affordable price. 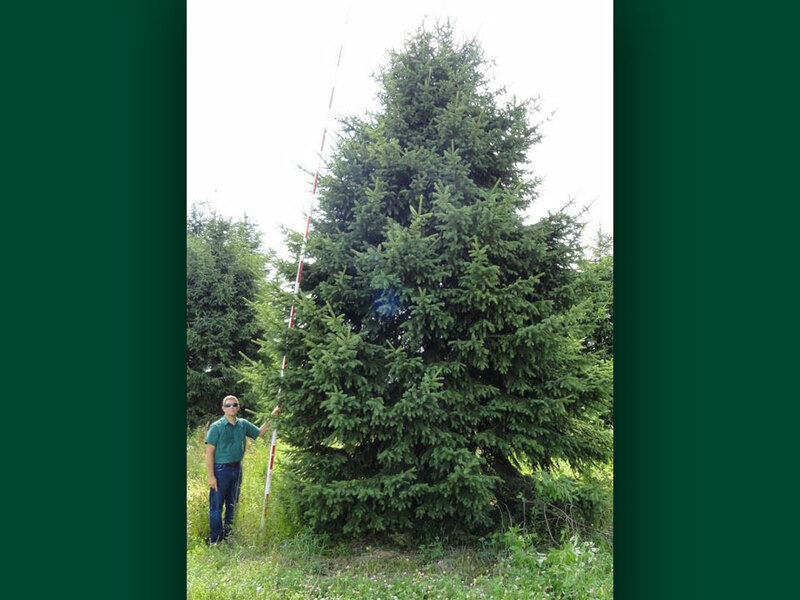 Our family has been in the cut Christmas tree business in Erie for four generations, selling them up to 50 feet tall! 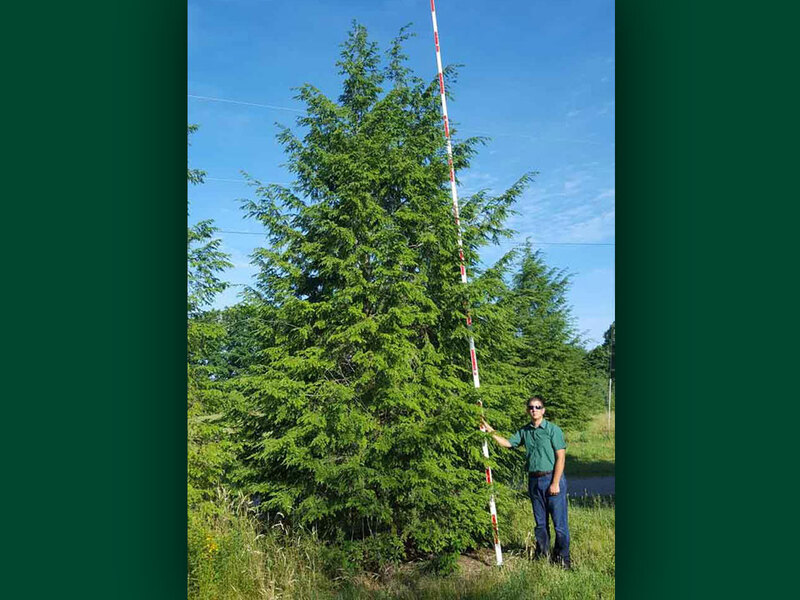 Each year, the city of Augusta, Georgia, orders their town tree from us. We have an extensive variety of evergreens to truly bring in the Christmas spirit. 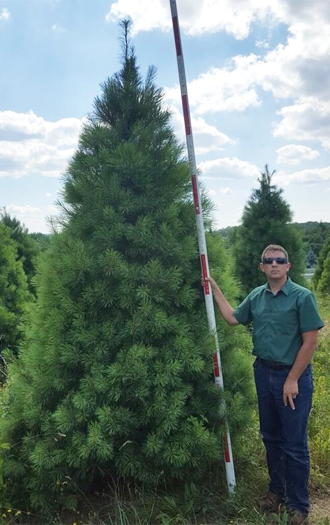 Whether you're looking for something to top your table, a tree to fill your 12-foot cathedral ceiling, or a 40-foot tree for your town square, we've got it! While you're picking out the perfect tree, make sure to check out our other holiday decor. Each item is sure to complement your evergreen. Whether you're buying for Christmas or your yard in the summer, our skilled crew can install evergreens and other plants for you. 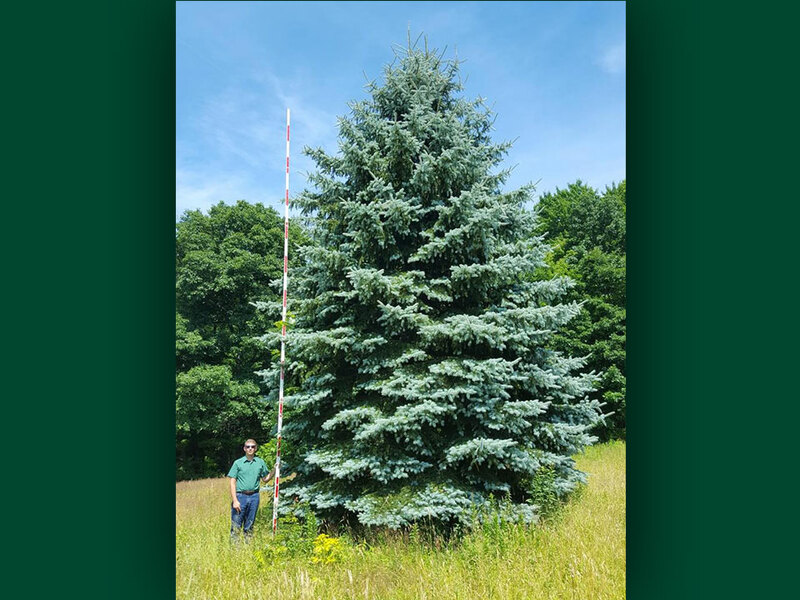 Our evergreens receive a two-year guarantee when you use our company to place them! If you have an important tree, but are moving, we can also help you keep that tree with you during your transition. We will safely pull it out and transport it to the new location, as long as it's under 50 feet. Our evergreen nursery also offers relocation services for plants. This provides you with a new structure in your yard or garden while keeping the plant alive and healthy.